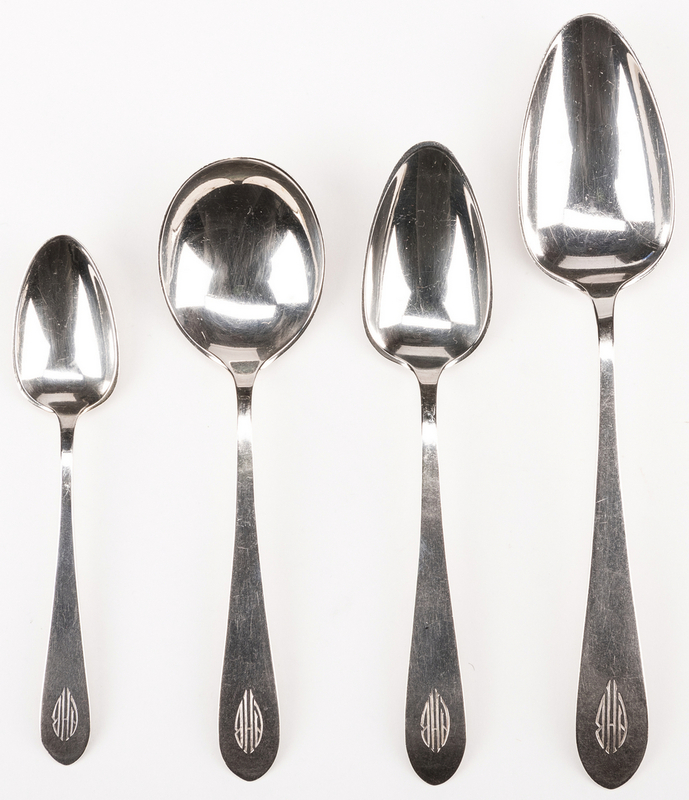 Lot 76: 112 Gorham Sterling Flatware, inc. 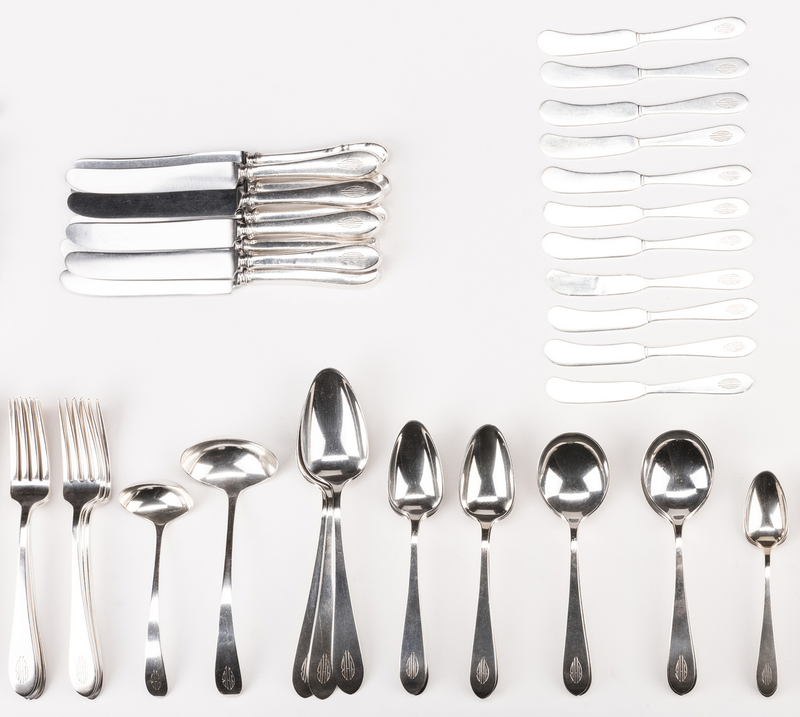 Plain & Covington, 113 Pcs. 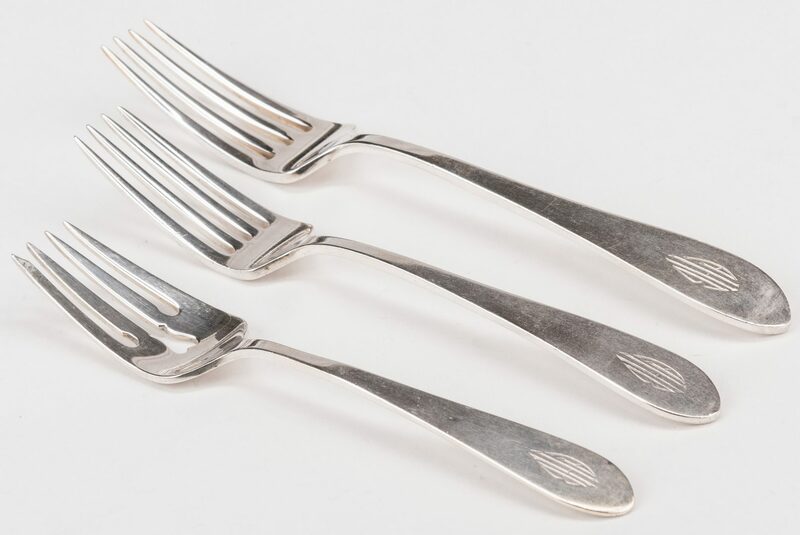 You are here: Home >> January 27, 2018 Historic Winter Auction >> Lot 76: 112 Gorham Sterling Flatware, inc. Plain & Covington, 113 Pcs. 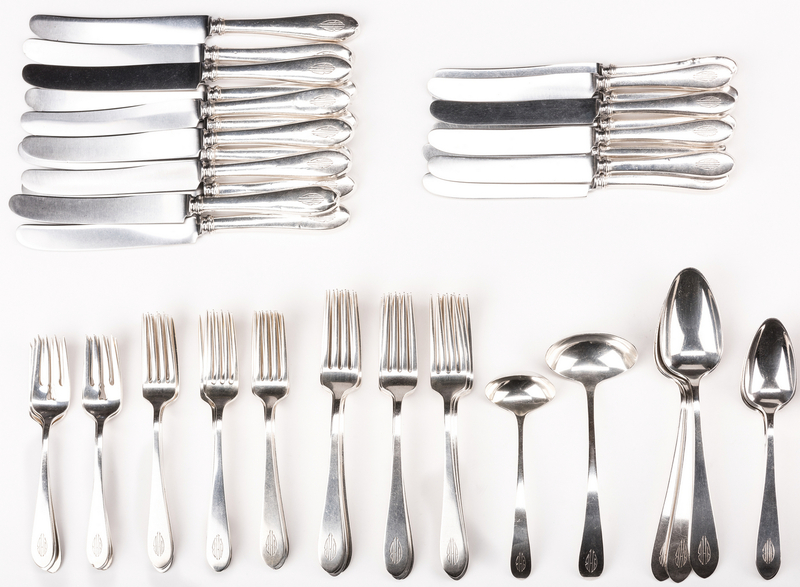 112 pieces Gorham sterling silver flatware, including 102 pieces Gorham Plain pattern flatware and 11 Convington pattern demitasse spoons, plus 1 sterling cake server, 113 items total. 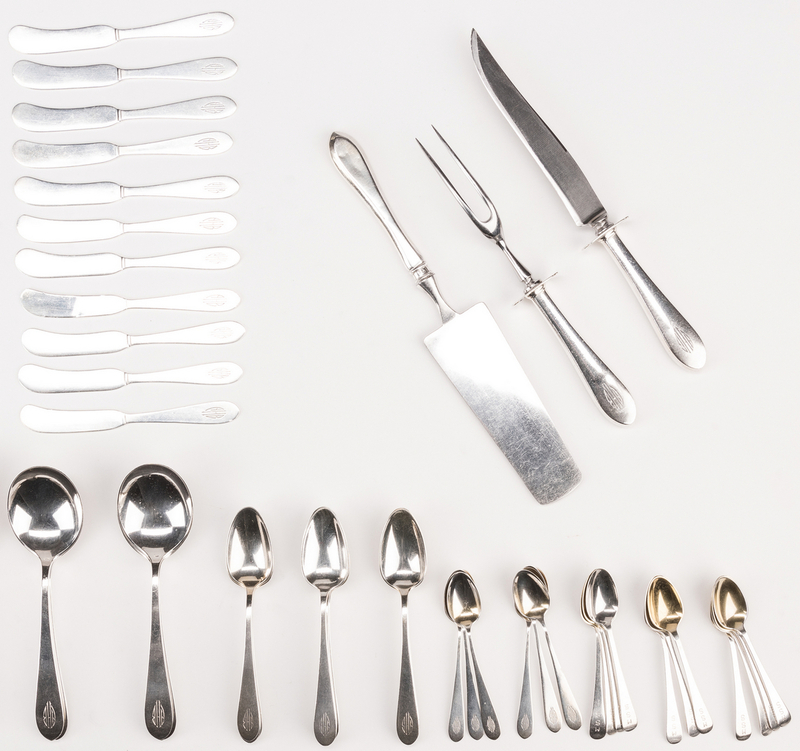 Plain pattern pieces include 19 dinner knives: 9 knives (8 1/2"L), 12 knives (9 1/2"L), 23 forks: 12 forks (7 7/8"L), 11 forks (7" L), 7 salad forks (6 3/8" L), 10 teaspoons (5 7/8" L), 6 demitasse spoons, 8 soup spoons, 8 place spoons, 3 tablespoons, 11 flat handle butter spreaders, 1 cream ladle, 1 gravy ladle, 2 piece carving set. Monogrammed "AHB". 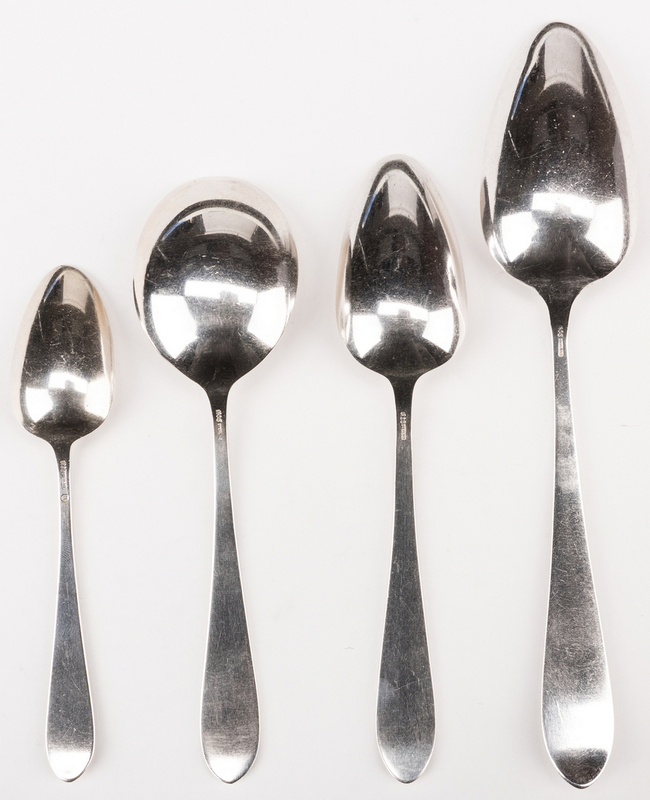 11 Convington pattern demitasse spoons (4 1/8" L), 6 with gilt washed bowls. Monogrammed "M S S". 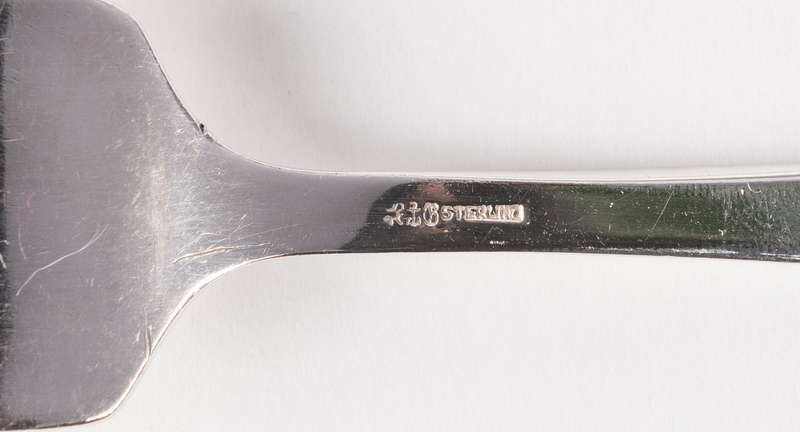 Also includes 1 cake server (10 1/2 L), marked "Sterling" and "72". Includes two fitted storage boxes approx. 3 1/4" H x 17" W x 11 1/2" D. 117.44 total weighable try ounces. 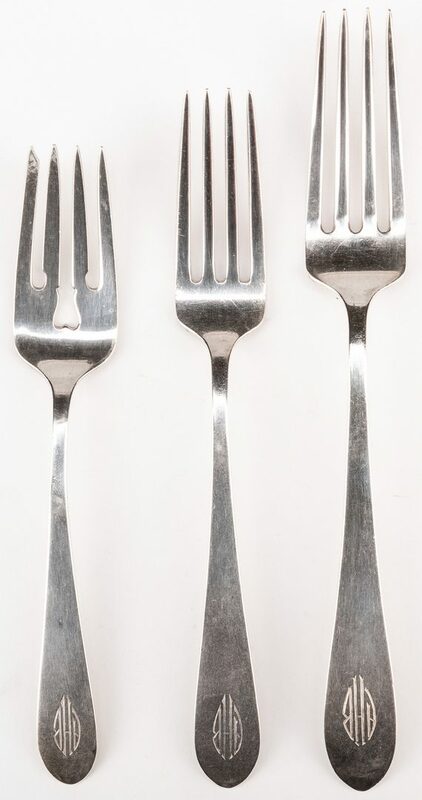 CONDITION: All items overall good condition with surface scratches. 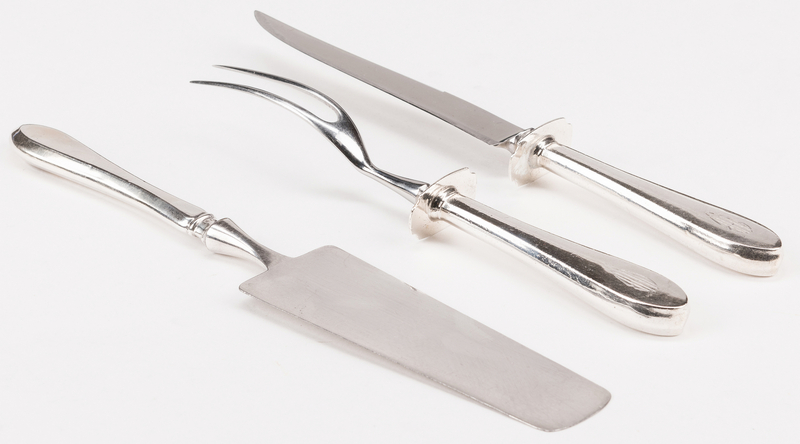 Gorham Plain: Bends, blade of one flat butter spreader and handle of one demitasse spoon. Dents to hollow handles. Monogrammed "AHB". 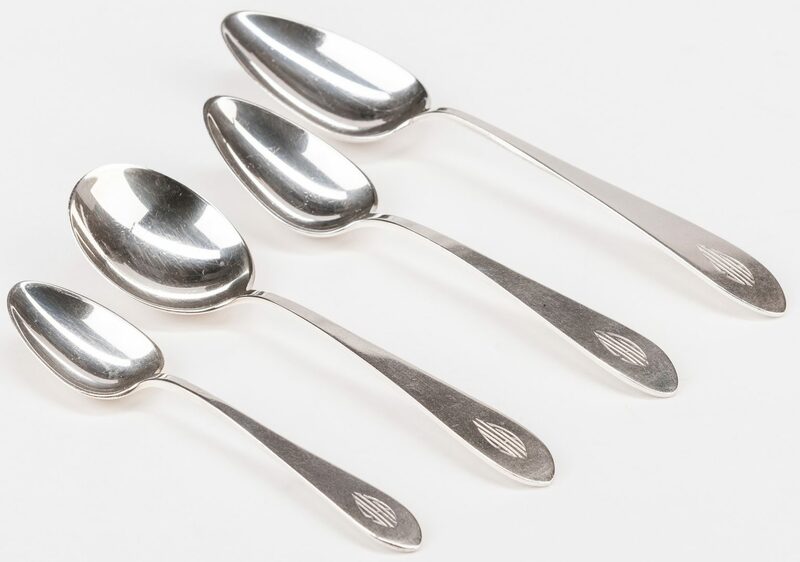 Gorham Covington: Monogrammed "M S S". 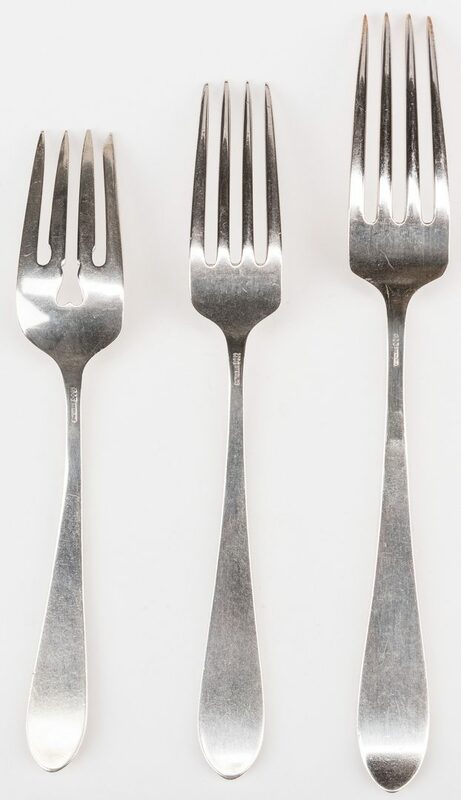 Cake server: 5/8" area of damage to handle.